Danny DeWayne McCray (born March 3, 1988) is an American football free safety and special teamer who is currently a free agent. He was signed by the Dallas Cowboys as an undrafted free agent in 2010. He played college football at LSU. McCray attended Westfield High School and in 2004 helped the football team to a second-place finish at the Class 5A state championship. He earned first-team all-district honors as a senior in 2005. He went on to play at Louisiana State University contributing mostly in special teams and as a backup both at safety and linebacker. For his career, he played in 52 games with 13 starts and recorded 196 tackles. McCray with the Cowboys in 2010. 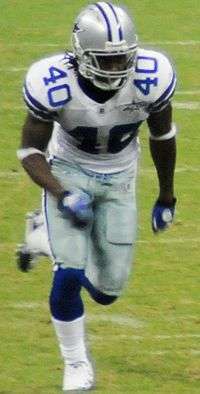 McCray was signed by the Dallas Cowboys in 2010 as an undrafted free agent, based on the recommendation of special teams coach Joe DeCamillis. The team assigned him uniform number 40, previously worn by special teams star Bill Bates. As a rookie he had 28 special teams tackles, the third-most in team history since 1988 and the most by any Cowboys player since Jim Schwantz team-record 32 in 1996. The next year he led the team again in special teams tackles (19), becoming the first Cowboys player to do it consecutively, since Bill Bates did it in 1989-1990. He also emerged as the unit leader, becoming a team captain by his third year. After two seasons of playing in defensive packages as a hybrid linebacker and safety, in 2012 he got his first career start at strong safety against the Chicago Bears, replacing Barry Church who suffered a season-ending Achilles tendon injury. Although he started 10 games and finished second on the team in tackles (87), as the season wore on, he struggled in pass coverage and his special teams play suffered dropping to second in tackles (18), eventually losing his starting position and playing time in the last two games of the season. In 2013, after the Cowboys improved their depth at safety, he accepted a reduced salary to remain with the team and avoid being waived. McCray didn’t see as much time on the defense as he did in the previous year, with the intention of focusing on special teams. New special teams coordinator Rich Bisaccia changed his role, which affected his tackle production, finishing sixth on the team with 8. 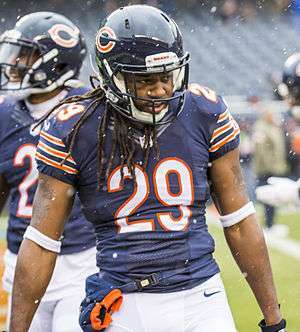 On March 18, 2014, McCray signed a one-year contract with the Chicago Bears, reuniting with special teams assistant Joe DeCamillis. He ranked fourth on the team with 10 special teams tackles (fourth on the team) and his best game came against the New York Jets, registering 10 tackles on defense. On May 14, 2015, McCray was signed by the Dallas Cowboys to replace special teams player C. J. Spillman. In the second game against the Philadelphia Eagles, he blocked a punt that was returned for a touchdown. He posted 4 special teams tackles and wasn't re-signed after the season. ↑ "Danny McCray a special-teamer only". Retrieved February 19, 2016. ↑ "Special Teams Where McCray Should Fit Best". Retrieved February 19, 2016. ↑ Dickerson, Jeff (March 18, 2014). "Bears sign safeties Steltz, McCray". ESPN.com. Retrieved March 28, 2016. ↑ Wright, Michael (February 25, 2015). "Bears sign safeties Steltz, McCray". ESPN.com. Retrieved March 28, 2016. ↑ "Cowboys bring back Danny McCray". Retrieved February 19, 2016.